The monogram has a rich history, literally. It began over 2,000 years ago as the symbol on Greek and Roman money. Over such a long period of time it has also been used for family crests, tennis branding, and of course weddings. Now, wedding monograms are more popular than ever. They can add a flair of personal elegance to your big day. Plus, many of them are simply beautiful to look at. Would you love to have one for your wedding but don’t know where to begin? Keep reading for 3 creation tips and 15 wedding monogram ideas to put it to use. Don’t worry if you and your friends are not artistically inclined. You can let a wedding monogram generator save the day! Not only are they easy to use, but many of them are free. All you have to do is provide the initials and all that pesky creative work is done for you. Many also give you the option to customize the generated monogram, including dimensions and color. All in all, with a wedding monogram maker you can download your personalized monogram in minutes and start deciding what you will put it on. If you’re willing to spend a bit of money, you can get a professional artist to design your wedding monogram. For example, Etsy has a range of independent artists who create custom monograms for as low as 10 bucks. Even if you’re throwing a wedding on a budget, you still have options. The benefit of searching on Etsy is that you can find a relatively inexpensive wedding monogram with unique calligraphy, watercolors, and whatever else you desire. Of course, it goes without saying that the more you pay, the more options are available to you. If you’re lucky enough to have a professional artist as a friend, even better. Instead of buying you a toaster, they can give you a wedding gift from the heart. Once your wedding monogram is ready to go, you can start incorporating it into the festivities. Keep reading to learn about 15 ideas for using your wedding monogram. Doodling can get those creative juices flowing. Take out a pad and pencil and simply start drawing. Don’t think about it too hard. A lot of creative endeavors start out with most of the work being done by natural inspiration, rather than forcing something out. Just keep in mind the essential element of you and your significant other’s first initials. Consider adding the full surname that you will share as a couple, if it’s not too long, or include it as a third initial. Adding the date of the wedding in numerals is another possibility. After a while of doodling, who knows, you may end up with a lovely design that only needs a bit of polishing. You won’t know for sure until you try it out, though. When setting up tables, the centerpiece is what brings everything together. The eyes are drawn to it, so why not have a table centerpiece that features your wedding monogram? You could have the classic centerpiece of a bouquet of flowers, but with your monogram elegantly displayed as an accent on the vase. On the other hand, you could have the monogram on full display as a large centerpiece with flowers for accents, bringing the original design to life. A wedding monogram light is a fun and flashy way to broadcast the symbol of your loving union. Whether it’s shining on the floor or across a wall, a monogram light can act as the focal point to any room. Shine it on the dance floor as a way to liven up the musical atmosphere. The disco ball is optional. It might sound like an expensive indulgence, but to save money you can simply rent a wedding monogram light projector for around 100-200 bucks and set it up yourself. Just make sure the light is focused so that your monogram is projected as clearly as possible. Some companies provide you with a personalized wedding monogram as a bonus. No wedding invitation would be complete without your wedding monogram. Of course you’ll have to include important information like the date and time, but your wedding monogram is a flourish that your invitees won’t soon forget. Most invitations you can find online are customizable, so it would be relatively easy to upload the design of your wedding monogram and add it to the layout. It works perfectly as the decorative eye-catcher of the invitation as a whole. You’ll want to send your wedding invitation in an envelope of course. What better way to send them out than in an envelope stamped with your wedding monogram? Your symbol of love will be the first thing your future guests see. If you want to step it up a notch, you can seal the envelope with wax, stamping it so that it dries into the shape of your wedding monogram. It’s an attention-grabbing touch that echoes romantic love from the Renaissance. 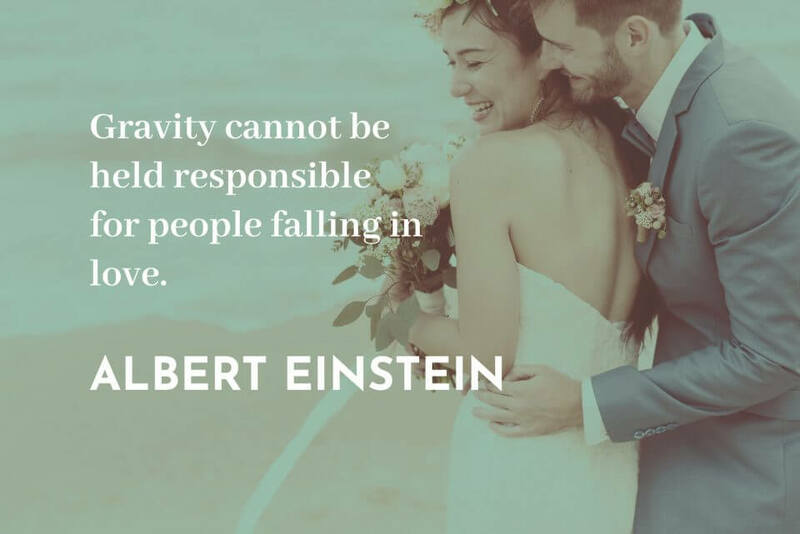 You and your significant other are sure to have fun using it together as you prepare to send out your wedding invitations. An extra benefit is that wax stamp companies usually provide you with a wedding monogram. Check out Artisaire’s beautiful collection. With window decals, you can decorate the windows of your venue using your beautiful wedding monogram. Depending on your wedding’s location, you can get a big decal that takes up the entirety of a window or a smaller one that allows your guests to take in the gorgeous view of Niagara Falls, for example. In addition, you can put a window decal on the rear windshield of your car along with the phrase “Just Married.” When it comes to announcing that you’re newlyweds, it sure beats a bunch of loud tin cans on strings. You want to make sure that your guests are able to find their way to the wedding venue. Since they’ve already seen your wedding monogram on your invitation and envelope, they’ll instantly recognize it on a directional sign as they’re driving or walking. You can use it as an accent on the sign or have a larger version of the monogram itself as the sign with an arrow pointing in the right direction. For couples who love the outdoors, a wedding in the woods can be utterly romantic. Carving your wedding monogram into a prominent tree is a charming way of displaying your love symbol for all to see. Plus it reminds everyone of that universal gesture of romantic affection. Even if you don’t plan on having a wedding in the woods, you might have trees leading up to the door of the wedding venue that can be put to use. No trees there? Whether it’s a piece of furniture or part of a vintage truck bed, you can romantically carve your wedding monogram into any wooden surface. A wedding cake is one of the most important and delicious features of any wedding. Using your monogram could quite literally be the icing on the cake. With fondant and other ingredients, lots of wedding cake designs can be made to both look and taste great. Other than an edible option, you can use your wedding monogram as a wedding cake topper or put it on the decorative base that holds up the whole of the cake. Don’t be afraid to get creative with it. Champagne and wine are the go-to drinks for celebrating love and life. For this reason, you should consider adding your wedding monogram to your champagne flutes and wine glasses. That way when people toast to your happiness and future, they’ll be raising then clinking glasses that bear your symbol of love. Cheers! As a bonus, you can also brand your drink stirrers with your wedding monogram. After all, not everyone drinks champagne and wine. In addition to wedding thank you cards, party favors are a thoughtful way to express your gratitude to your friends and family. Adding your wedding monogram to the party favor can make it even more personal. Popular wedding party favors include bottle openers, coasters, mugs, and candy. If you want to be more creative, you can give hand fans, pastries, incense, or pressed flowers. No matter what party favor your decide on, you can almost always work in your wedding monogram. Ring pillows often have decorative bows, tassels, or flowers embroidered on them. It only makes sense to adorn your ring pillow with your elegant wedding monogram. It’s what everyone will be looking at when the ring bearer is walking down the aisle. Some people prefer a ring bearer box rather than a pillow. Your wedding monogram can look just as fabulous on the top of your box as it would stitched onto a ring pillow. Just because you’re going to exchange rings doesn’t mean you can’t have more jewelry. A piece of jewelry with your wedding monogram can work perfectly as a heartfelt gift for your significant other. You can give it before or after the wedding, or later as a nostalgic anniversary gift. When it comes to jewelry as a wedding monogram gift, there are plenty of options. She’ll already have the ring, so why not a necklace, a bracelet, an anklet, or even a toe ring? For the man in your life, you might consider a customized watch, tie clip, or cuff links. You’ve probably seen it in Starbucks all the time, the latte foam stirred into a ghost for Halloween or into a heart for Valentine’s day, but few people have seen a wedding monogram in their drink. Did you know that artists are now making 3D foam art on top of drinks? If there’s a will, there’s a way. Any time is the perfect time for a cappuccino or latte, so if you have a barista at your wedding, your guests will love it. Plus, something as unique as your wedding monogram in drink foam is sure to be a conversation starter. Don’t think you’re limited to coffee-based drinks, though. The key element is foam, so other drinks can be turned into art too, like cocktails. A guestbook allows your friends and family to write their well-wishes, their reminiscences of you and your significant other, and more. After the wedding, it becomes a collection of laughs and tears that you can read and cherish till death do you part. Since a guestbook can become a sentimental heirloom passed down to your kids and beyond, it should be of the highest quality possible in terms of both looks and materials. With this in mind, you’ll want to include your beautiful wedding monogram on the guestbook’s cover. Photo booths are very popular at all kinds of events, including weddings. It’s a fun way for guests to loosen up and take amusing pictures. With a photo booth, you and your guests will have even more photos to remember your big day by. If you’re willing to spend a bit of money, you can rent an actual photo booth, rather than just have an area set up for picture-taking. For around 500 bucks, your guests can have the full experience of a photo booth, which means they can walk away with an actual strip of photos. As you know, photo strips usually have decorations on the top, bottom, and in the background. Your wedding monogram would look wonderful as part of the photo strip design. A photo booth has the double benefit of providing your guests with party favors. Props are usually the staple of a photo booth setup, so if you’re planning a wedding on a budget, you can simply include your wedding monogram as one of the props. Are You Ready to Add Your Wedding Monogram to a Sophisticated Invitation? Now that you know how to go about getting your wedding monogram designed, you’re ready to start doodling. Once you have the perfect wedding monogram, don’t forget to add it to your wedding invitations. 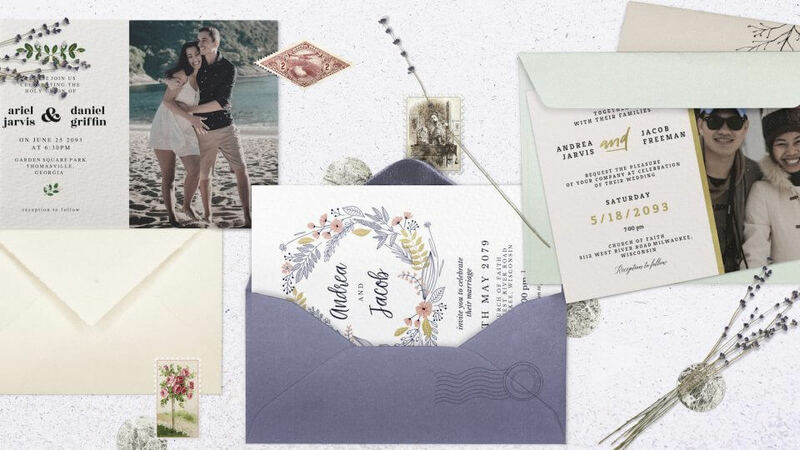 If you want to create an elegant, custom invitation, Greetings Island has a delightful medley of wedding invitation templates to pick from. Your dream design is just a click away. After you’ve customized your invitations so that they include your wedding monogram, you can print them with ease at home or at a professional print shop. Want to keep things virtual? We have additional options, such as sending them through email with RSVP services or downloading them as high-quality images that are shareable on social media networks.